Background & Objective: Diabetes and neurodegenerative diseases (ND) are progressive morbidities and represent a major public health burden. A growing body of evidence points towards the comorbidity of diabetes and NDs with a possible exacerbation of latter by former. Considering the high prevalence of both morbidities in aging world population, even a modest impact of diabetes on NDs could lead to significant public health implications. Several hypotheses and mechanistic evidence were proposed linking altered glucose metabolism to the risk of progressive dementia. Unregulated production of reactive oxygen species (ROS) and resultant oxidative stress (OS) are the common features of diabetes as well as NDs. 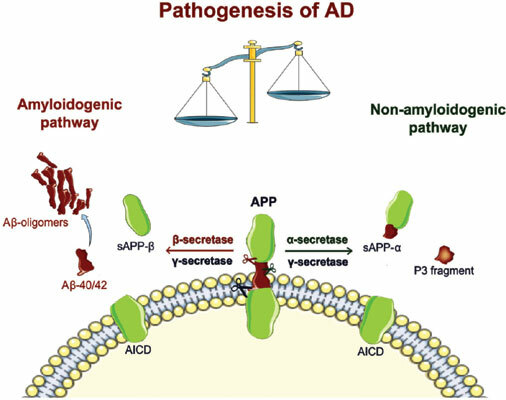 Conclusion: This review explores the concept of altered glucose metabolic pathways leading to ROS increase and its possible link to NDs, with a special emphasis on Alzheimer’s diseases (AD). We also discuss the detailed mechanistic link between hyperglycemia, ROS generation, and neurodegeneration to highlight potential therapeutic avenues for better prevention and treatment. Hyperglycemia-induced ROS, ROS/RNS, Oxidative stress, Diabetes, Neurodegenerative disorders, Alzheimer's diseases (AD)/Parkinson's disease (PD), anti-oxidants, AGE/RAGE.